It’s always hard to make sure your bathroom is perfect for little kids. After all, there is so much they can harm themselves on in the room. And on top of this, you need the bathroom to be fun to get them to use it! And even if you haven’t got your own child, you want the room to be safe and fun for when you have nieces and nephews over to stay! Therefore, here are some easy ways you can make your bathroom more kid-friendly to keep little ones happy. It’s so easy for kids to have slips in the bathroom which cause a trip to A&E. Therefore, you need to prevent this by getting some non-slips mats for your bathroom. They should be placed right next to areas that get wet easily such as next to the bath and shower. As this feature says, a good non-slip mat should have suction cups to prevent the mat from sliding across the floor once the little one steps on it. That way, they won’t end up face planting the floor once leaving the shower. Just make sure you regularly give it a clean, so no mould ends up growing on there. It’s also so important that you choose a secure shower enclosure that kids can use in your home. After all, that stylish one with the complicated door movement might be good for you, but it certainly won’t be good for little ones. They could end up getting stuck in the shower or even end up hurting themselves on the door. Therefore, you need to choose a modern shower with smooth closing doors. That way, they can get in and out as necessary. You might even want to go for a walk-in shower. That way, it’s the same level as the bathroom floor, and they are less likely to slip and hurt themselves. You can find a good range of shower cubicles online such as dilusso enclosures. A lot of people have so many skin and hair products in their bathroom. But if it gets into a little one’s hand, it could lead to danger. After all, they might not understand it’s not edible and could end up swallowing some shower gel by mistake. 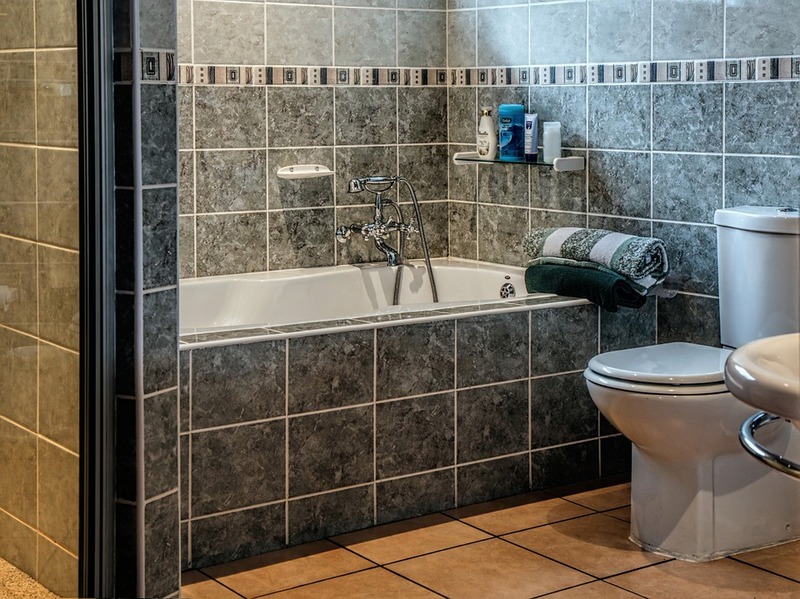 Therefore, to make your bathroom more child-friendly, you should put all potential hazard items away in the cupboard. That way, they won’t be able to get their hands on the item and get sick because of you! Remember it’s not just lotions; razors and scissors need to be put away for safe keeping too in the bathroom! If you want to make your bathroom more kid-friendly, you need to add some fun accessories. And we’re not just talking about adding a rubber duck to your tub (although that is a must). You should add some brightly coloured towels and fun artwork to the room. You can even find some great tablet holders so that kids can watch their favourite cartoon while they are in the bath! And you can check out my previous blog on ways to make your bathroom perfect with little stress.